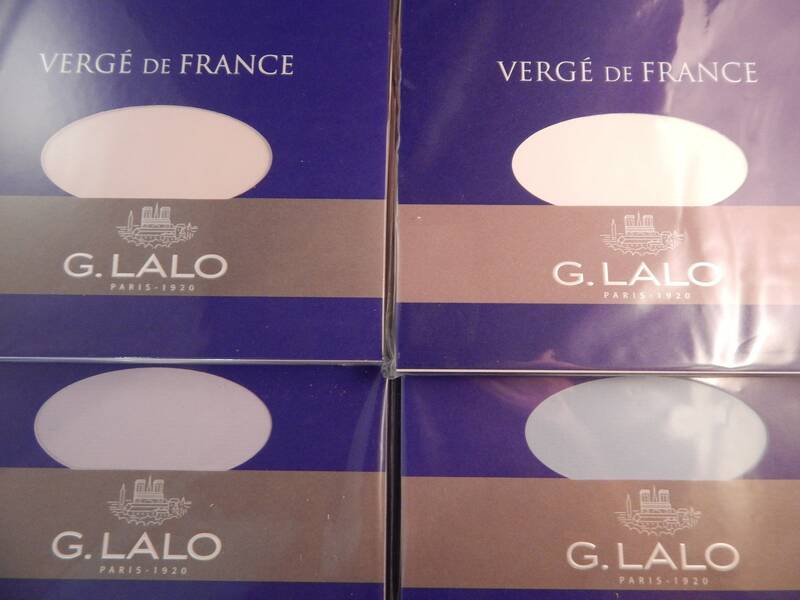 G. Lalo Verge de France paper is made specifically for letter writing. 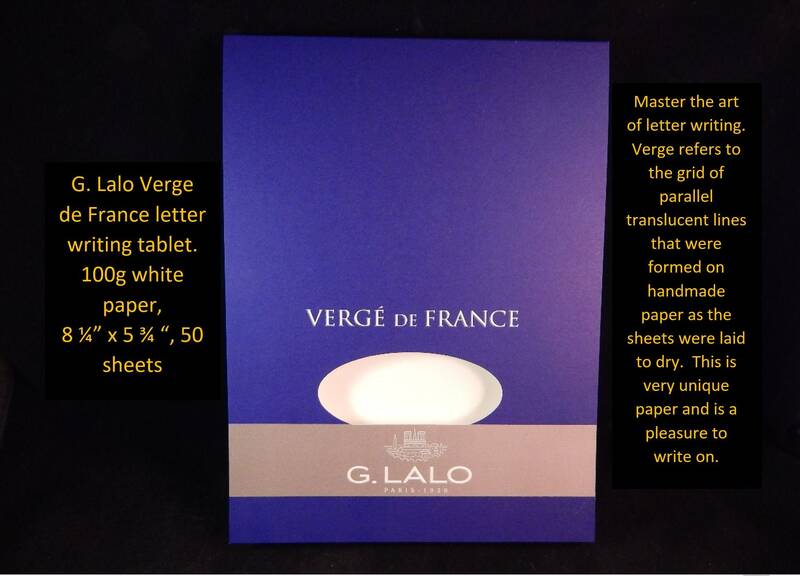 The paper is made with the same technique used to make Verge paper by hand long ago. 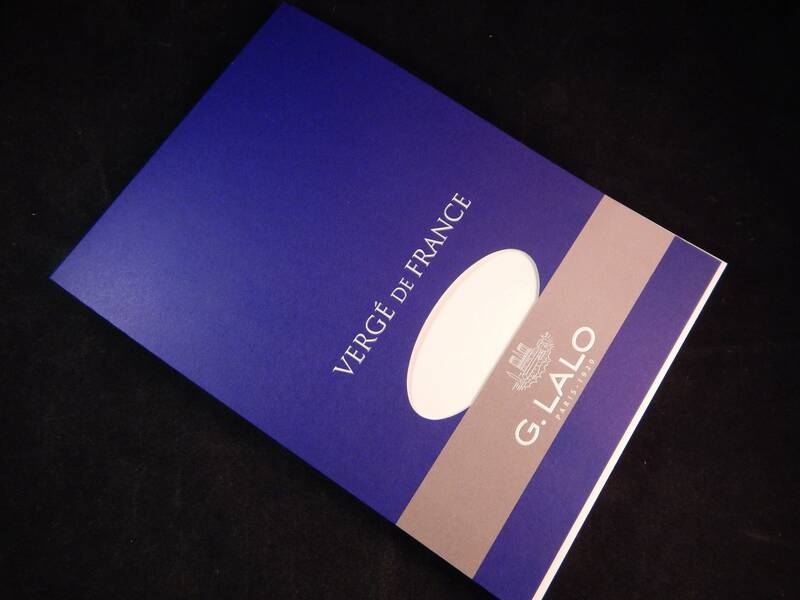 The pad is 8 1/4" x 5 3/4", 100g white paper, and has 50 sheets. There are translucent lines running through the paper which help as a guide while writing letters. This paper was made with fountain pens in mind and there is no need to worry about feathering of the ink. There is an option of white, blue, lavender, or rose colored paper. 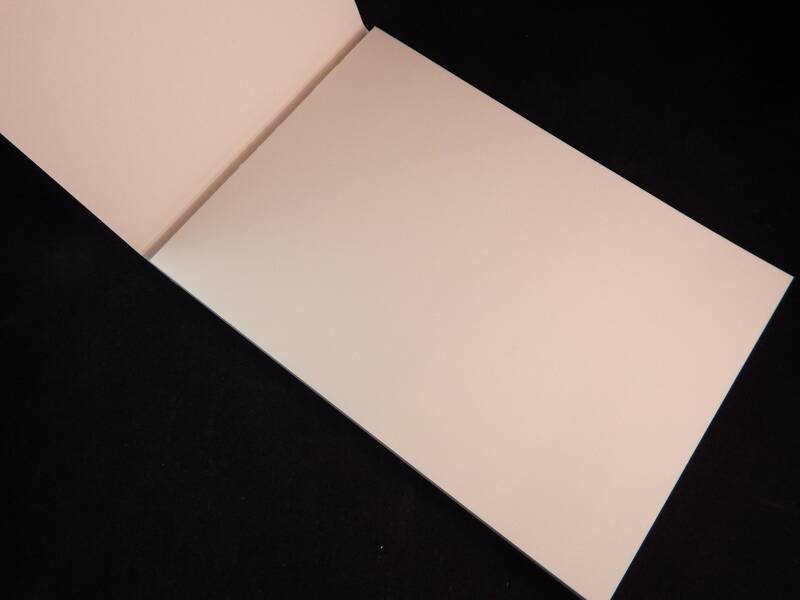 The Clairefontaine 1951 Collection notebook contains 96 sheets of white lined paper. The paper is 90g, pH neutral, and acid free for use with fountain pens. The paper has a smooth satin finish which makes it a joy to write on, especially with fountain pens. The grained paper cover and cloth binding give this notebook a vintage feel and look. 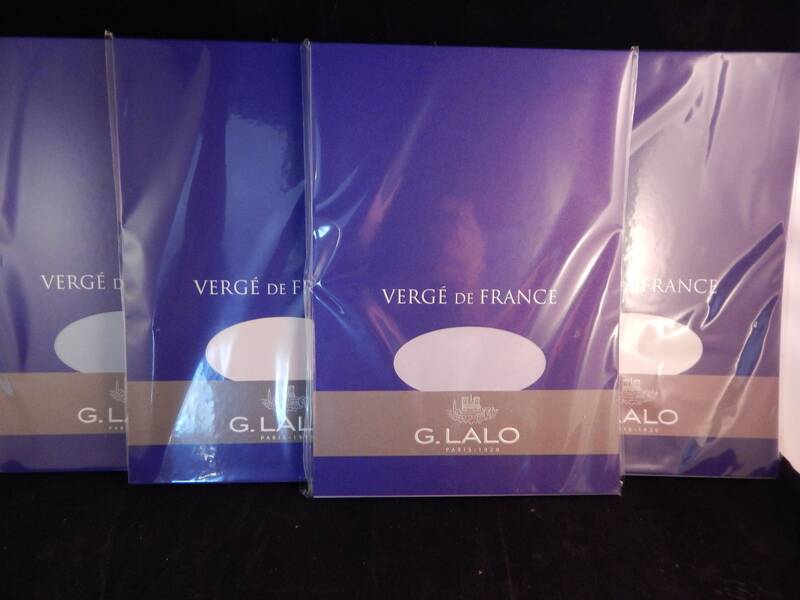 If ordered alone, these notebooks will be shipped via the USPS 1st class mail. If ordered with another item that ships priority, everything will be packaged together and shipped priority.